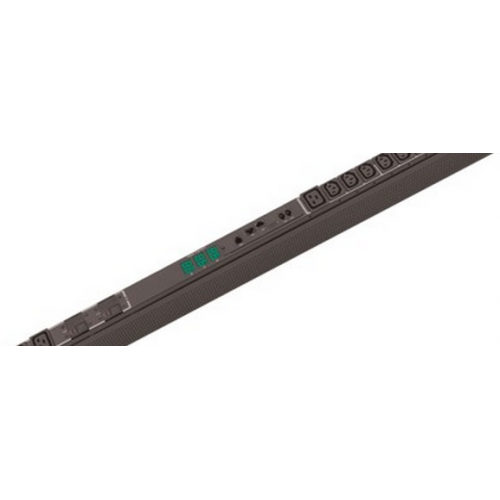 The STV-4101 product family provides high functionality in a 24 outlet Switched PDU. 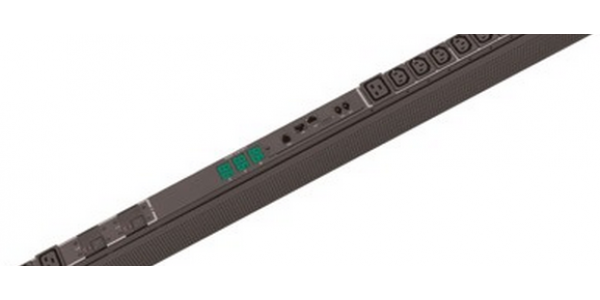 The Power Pivot flexible infeed provides simplified power cord routing to the PDU. The Auto-Flip LED display provides the proper display orientation no matter how the PDU is mounted in the rack. Combine these two features for a product that is truly compatible with either overhead busway or raised floor data center applications. Combine the Sentry PIPS Switched Cabinet PDU with the Sentry Power Manager software tool to gain power usage information across multiple Cabinet PDU's individual IP address. Only our Switched Cabinet PDU products provide the flexibility needed for all data centers and remote sites; including support for 30-amp power input, 208-240V or European 230V configuration; UL 60950-1 branch circuit protection; EN 60950-1:2006; SSL & SSH security; and SNMP-based input current monitoring. For cabinets with high-density servers, this cabinet distribution unit delivers unparalleled remote management solutions. High Retention Locking Receptacles: All STV-4101 PDUs utilize high retention receptacles to provide additional security when used with conventional power cords. Each PDU is also fully compatible with Server Technology's locking power cord solutions (supplied separately). 30 or 32 Amp Power Input Support provides hard-wired 10' cord and appropriate L6-30P or Pin/Sleeve plug type. A high quality range of horizontal and vertical power distribution units with angled sockets (vertical units only) and available in 1 to 12U vertical .. 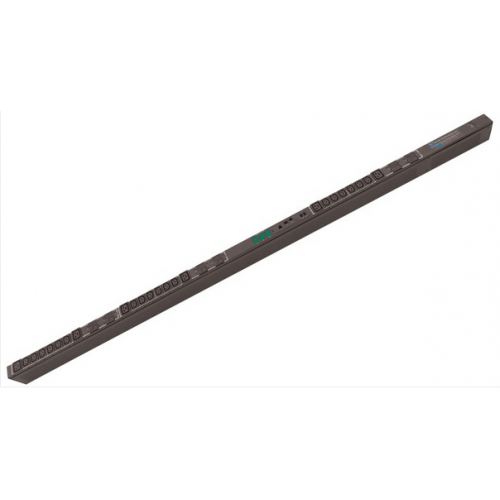 The STV-4101 product family provides high functionality in a 24 outlet Switched PDU. The Power Pivot flexible infeed provides simplified power cord ro..
As enterprises increase the ratio of servers and network gear to IT & network administration, the ability to access, control and fix problems asso.. The Server Technology® C-8HF2 Fail-Safe Transfer Switch (FSTS) provides fail-over redundancy to single or dual power supply servers and network device..